I love creative ways to change an outfit up . Lets face it, as much as we like to look Fabulous when we walk out the door, sometimes our money will not allow us to buy a new outfit for every occasion. These YouTube bloggers have some fabulous ideas. 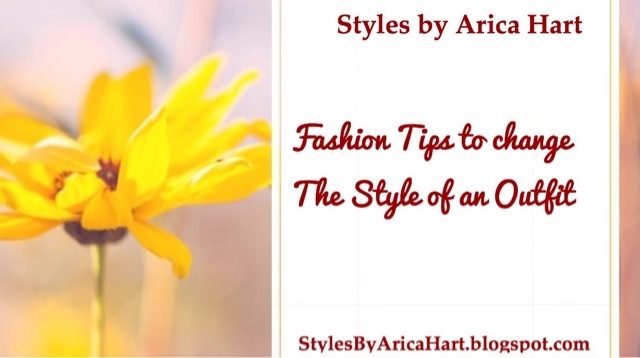 Check out these fabulous ideas on how to change your shirt into 5 different looks. Also invest in a nice scarf because there are some great ways to to turn a scarf into a shirt. Ladies, get ready to step out on that date with a fabulous new wardrobe without a new purchase. Rock your style with class. Rock your style with sophistication. Rock it, till you can't rock it anymore. Make sure you have versatility. Versatility in your clothing and hair is important to keeping everyone on their toes. That's right! Turn heads, when you walk in the door. They'll never know which creation you are going to stun the crowd in. Cleanliness is another key to a well maintained wardrobe and hair style. Keep your clothes and hair clean; meanwhile, rocking it out. Stay looking sweet for your sweetheart! There are so many Fashion tips for women. Make sure you take the time to try some of them out. 5 fun ways to wear your button up shirt by Elle Parkin. 4 ways to turn a scarf into a stylish top by POPxo. Have an awesome and blessed day. 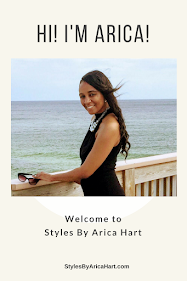 You are welcome to continue viewing more from Styles by Arica Hart Fashion section or my whole blog on hair, fashion, and motivation @ Styles by Arica Hart. Lack of protein may cause hair loss.